There is some evidence that drinking alcohol increases the risk of miscarriage during early pregnancy. However, the data is conflicting and leaves many women confused about whether there is any amount of alcohol that might be safe. Based on the uncertainty about safety, expert medical advice is to not take the risk of drinking throughout pregnancy. Some studies have not found an association between drinking alcohol during pregnancy and miscarriage. However, other researchers have reported an increased risk in women who drank as few as two drinks per week. Other studies have found the increased risk of miscarriage occurs at four to five drinks or more per week. Women who consumed 2-3.5 drinks per week had 1.66 times risk of miscarriage in the first trimester (up to 12 weeks) compared to women who did not drink. The risk of fetal loss was 1.57 times in the second trimester from 13 to 16 weeks of pregnancy. The greater the amount of alcohol consumed, the higher the risk of first trimester and early second trimester miscarriages up to 16 weeks. A smaller U. S. study published in the Lancet in 1980 also showed that pregnant women who drank only two drinks (or more) per week had a higher (2.62) chance of a miscarriage compared to women who drank less. The Danish study above found the risk of first trimester loss in those women who drank four or more drinks per week was more than double the risk of those who abstained (2.82 times the risk). Women who drank four or more drinks a week during pregnancy were 2.65 times more likely to miscarry up to 20 weeks of pregnancy compared to women who did not drink. The increased risk was significant for women who drank spirits (hard liquor) only but not for wine only, beer only, or any combination of drinks. Most of the fetal losses occurred in the first trimester at less than ten weeks, the period during which the fetus is most vulnerable to chromosome damage. Pregnant women in this study who drank less than four drinks per week did not have an increased risk of miscarriages compared to women who abstained from alcohol. This study replicated the association between alcohol drinking and miscarriages of previous studies. In a post-study analysis, the researchers also found a lower threshold of alcohol for the risk - an increased risk of miscarriage in women who drank at two drinks per week compared to women who drank fewer than two drinks per week. A small Danish study of 300 women who had miscarried found the risk for miscarriage did not significantly increase until a moderate level of drinking - five or more drinks per week. This study, published in the journal Acta Obstetrica et Gynecologia Scandanavia in 2003, found that the women who drank at this level had an almost five times greater risk for a miscarriage between six to 16 weeks. A study of 546 pregnant women reported in 1995 in Alcohol and Alcoholism showed no evidence for an increased for miscarriages from drinking alcohol. A review of studies in the literature, published in 2007 in the BJOG: An International Journal of Obstetrics concluded low or moderate levels of alcohol consumption did not consistently affect the risk of miscarriages or other poor pregnancy outcomes such as stillbirths. Episodes of alcohol binge-drinking during pregnancy, defined as five or more drinks in one session, does not appear to increase the risk of miscarriages. Researchers published a systematic review of studies in 2007 in the Journal of Epidemiology and Community Health. They found no evidence of any adverse effects of prenatal alcohol binge-drinking on miscarriages or stillbirths. However, episodes of binge-drinking can cause abnormal fetal brain development and other abnormalities. Some women worry the alcohol they drank in the weeks of days before realizing they were pregnant might have an adverse effect on their baby. A study in the Journal of Nutrition in 2016 found pre-pregnancy low or moderate alcohol drinking did not increase the risk of miscarriage or stillbirth. A Dutch study reported in the British Medical Journal in 2014 found drinking five or more units alcohol per week can decrease sperm count and quality and lead to greater percentage of abnormal sperm. These parameters were worse for men drinking more than 20 units of alcohol weekly. 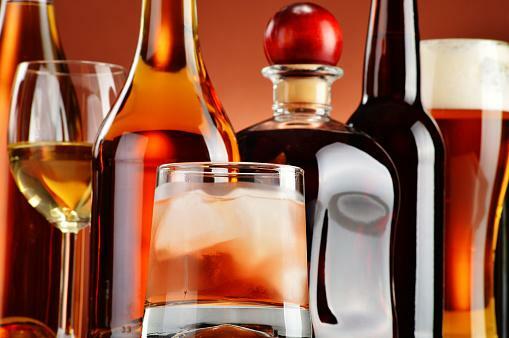 The researchers theorized alcohol could damage sperm DNA and lead to abnormal fetal development and miscarriage. The conflicting results between studies might be due to how accurately the women judged the size of their alcoholic drinks and recalled and reported their alcohol consumption during pregnancy. The presence of other factors in the study women that also increase the risk of miscarriages, such as caffeine and smoking, could also explain the conflicting results of the studies. The literature does not define with any certainty if there is a safe amount of drinking during pregnancy. The data on the effect of alcohol on miscarriage risk is incomplete. It is nor clear, for example, if there is a risk of miscarriage if a woman drinks one or fewer drinks per week. However, it is well-known that alcohol is harmful to a fetus, especially to brain development. Drinking in pregnancy is known to cause babies to be born with the developmental abnormalities of fetal alcohol spectrum disorders, including the most severe, fetal alcohol syndrome. 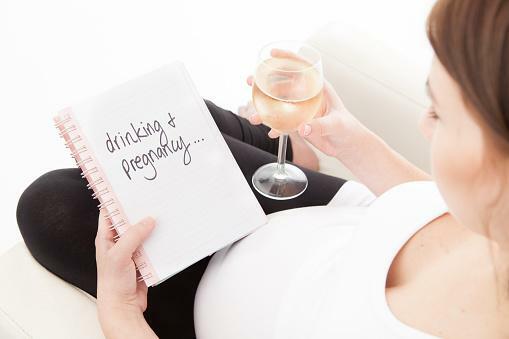 The risk is greatest when pregnant women have more than two alcoholic drinks per day. The problem is significant because according to the United States Centers for Disease Control and Prevention (CDC), about 10 percent of women in the U. S. drink during pregnancy. The uncertainty that even small amounts of alcohol might increase the risk of a miscarriage and other poor fetal outcomes leads the CDC to recommend that women abstain from drinking alcohol during pregnancy. The American Congress of Obstetricians and Gynecologists and other medical organizations have issued the same advice. Talk to your doctor if you are pregnant and concerned about your drinking, especially during the first and early second trimesters.